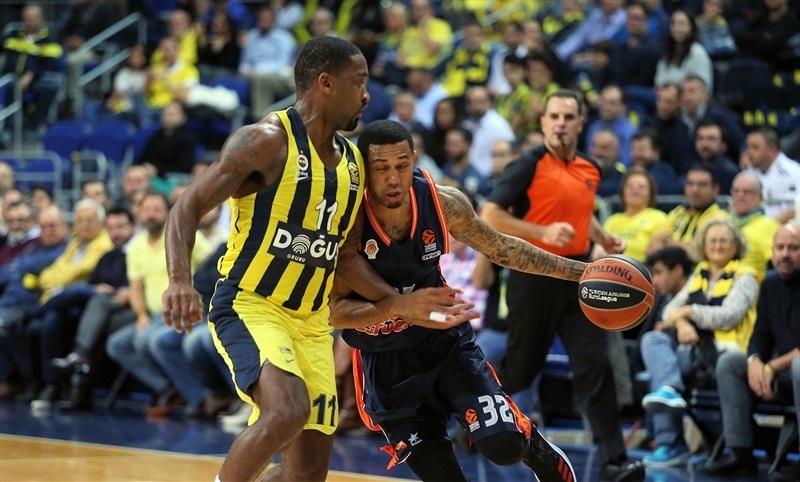 Fenerbahce Dogus Istanbul put on a defensive clinic on Thursday to defeat willing but unable Valencia Basket 79-66 and stay perfect at home through two games. 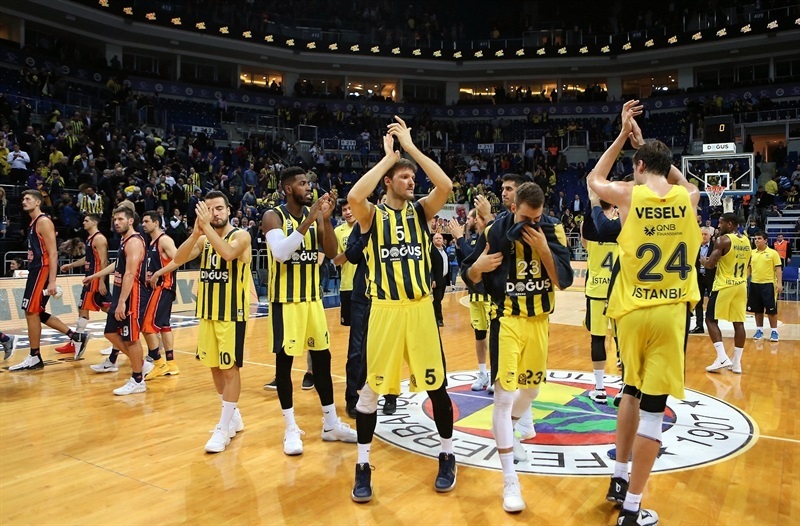 Fenerbahce's record improved to 3-2, the same as Valencia, which managed to lead for only a matter of seconds at the start of the second quarter. 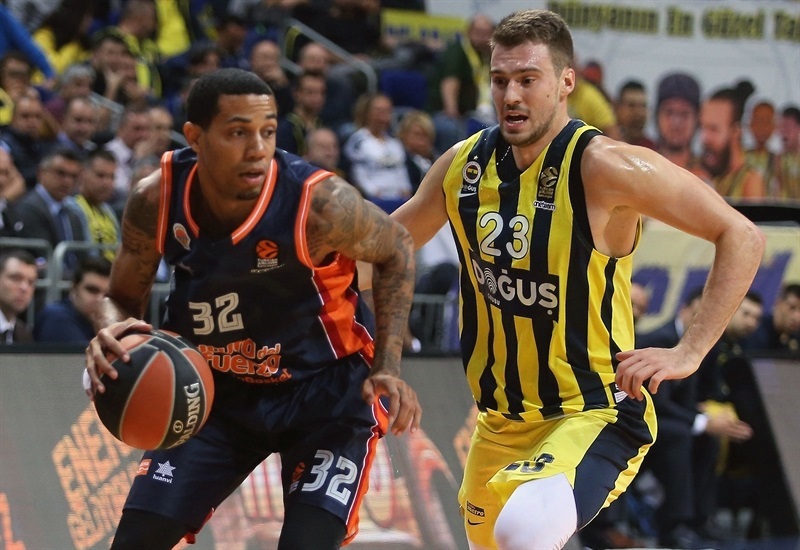 Fenerbahce held Valencia's Erick Green, the league's second-best scorer in October with 20 points per game, to 4 free throws and 0-for-5 from the floor. 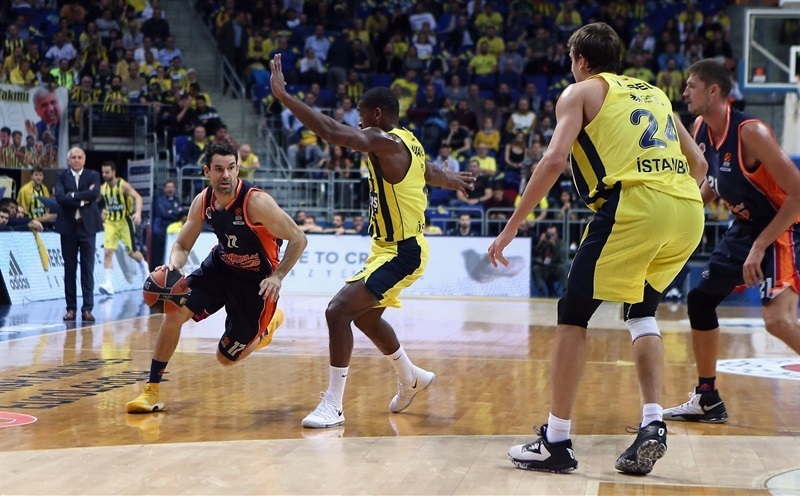 Luigi Datome had 16 points to lead the winners, while James Nunnally hit 3 third-quarter three-pointers when Valencia was threatening to finish with 13 points. 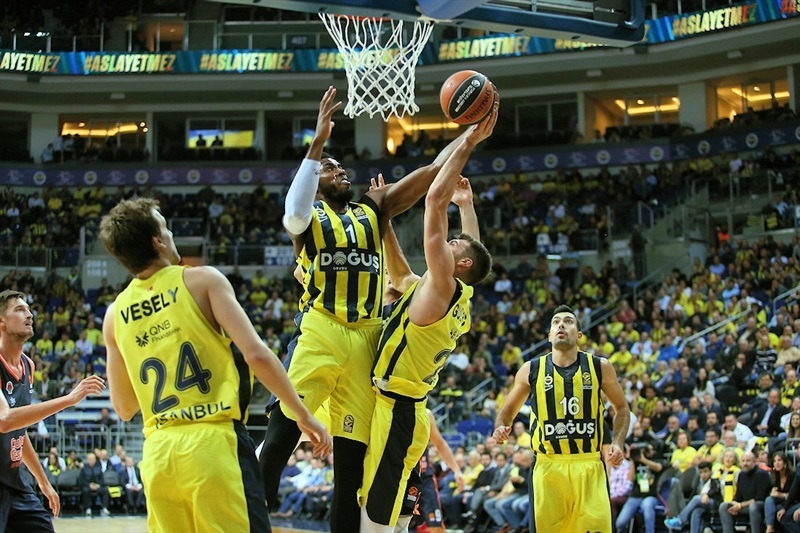 Jan Vesely added 12 points, Kostas Sloukas and Brad Wanamaker 10 each for Fenerbahce. Fernando San Emeterio returned from injury with 11 points for Valencia, while Sam Van Rossom and Tibor Pleiss added 10 each. Wanamaker's drive and Aaron Doornekamp's triple, both on second chances, got their teams started. 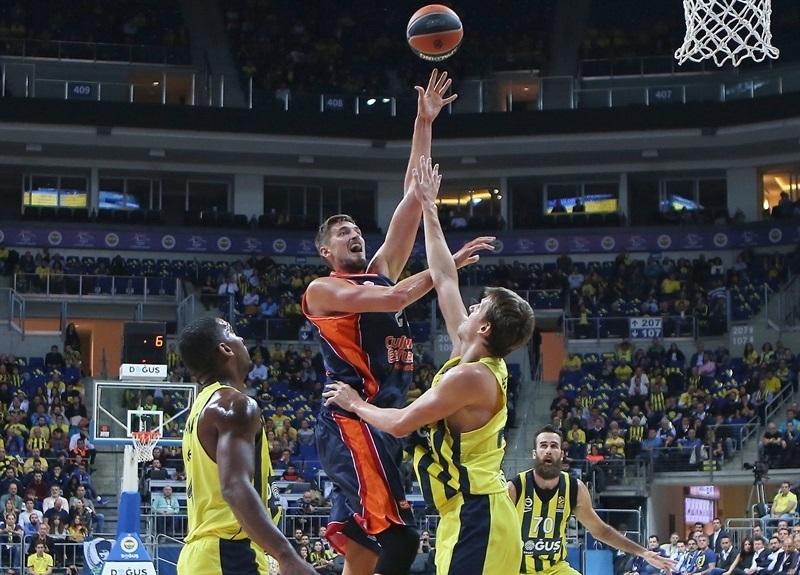 Datome got hot with a short jumper and back-to-back three-pointers, pushing Fenerbahce ahead 12-5. Will Thomas answered from deep and Pleiss with a a baby hook as Valencia stayed within 16-12. Rafa Martinez and Van Rossom got open for triples that suddenly tied it up, 18-18. Melih Mahmutoglu broke the tie, giving Fenerbahce a 20-18 edge after 10 minutes. Van Rossom fed Pleiss for a dunk and then banked in a go-ahead layup for his team's first – and as it turned out, only – lead. Kostas Sloukas tied it before Nicolo Melli and Jason Thompson put the hosts back ahead 26-22. 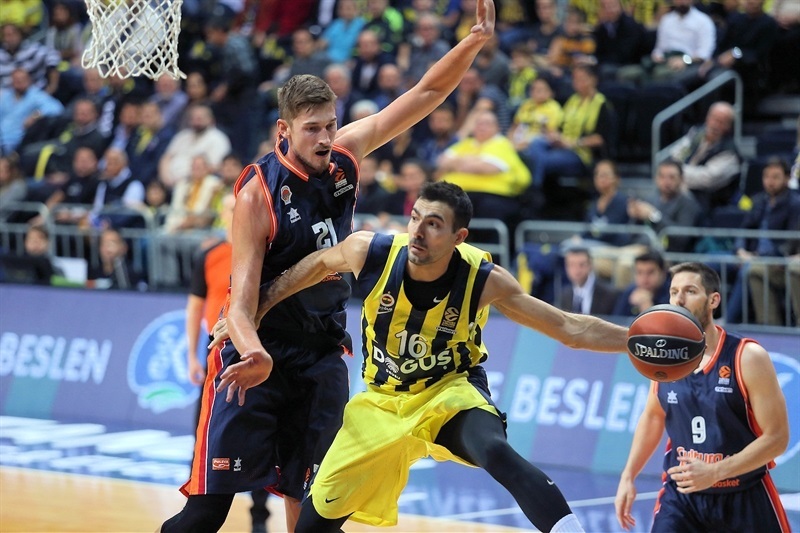 A lull ended with strong defense leading to fastbreak layups by Marko Guduric and Wanamaker and giving Fenerbahce its biggest lead yet 31-22. Green got his first points from the free throw line before Thompson sprung free for a slam dunk and Vesely dropped a fadeaway at 35-24. Sloukas soon rang up a triple for a new high lead, 38-26. 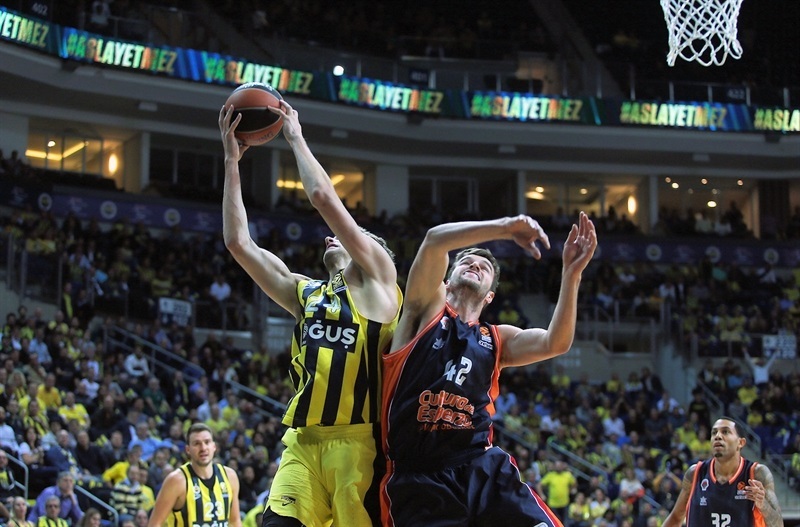 Thomas made one layup and Vesely another before Dubljevic hit free throws to finish the half 38-30. Thompson and Datome traded baskets after the break with San Emeterio, who buried his first 5 points of the season. Van Rossom's layup and free throw cut the difference to 42-38. Nunnally came out of nowhere with back-to-back threes for the first double-digit lead, 48-38. Pleiss and Doornekamp kept Valencia close before Guillem Vives drilled a triple at 50-45. 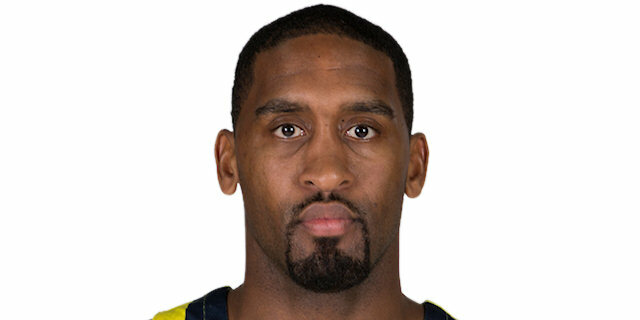 But here came Nunnally with his third triple in a few minutes for Fenerbahce. Datome kept it rolling until the champs had a 57-49 lead after 30 minutes. Datome restored the double-digit difference to open the fourth, but Bojan Dubljevic answered inside and Doornekamp from deep to make it 59-54. Sloukas and San Emeterio traded triples at 62-57 with 6 minutes left. 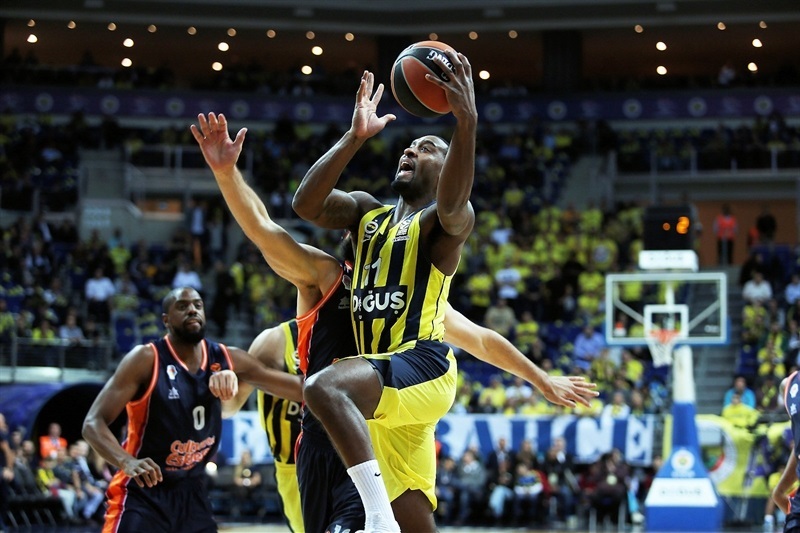 Sloukas fed Wanamaker for a layup as Fenerbahce stayed ahead. With its defense ruling again, the eight-point lead, 65-57, looked even bigger with time dwindling. Green made a couple of free throws but Wanamaker drove hard to make it 67-59. San Emeterio came out of a timeout and buried his third triple. 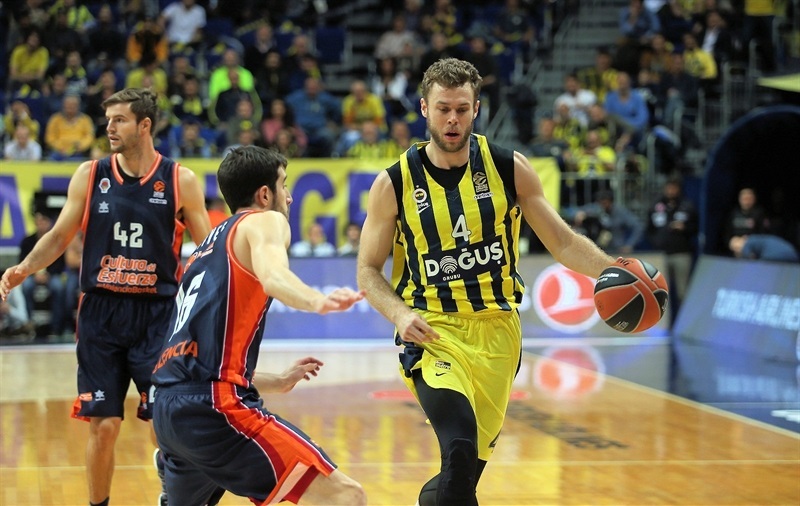 Sloukas hit from the baseline before Vesely downed a tough shot and Nunnally went back-door for a layup as the hosts sealed a tougher victory than it looked from the final score. "We played tonight a game against a team that honestly all the games they played until now they played very good basketball. So for us this game was very important to understand where we are. We talked a lot with the players and changed some things in our practice, thinking first of all about how to resist, especially on defense. So this was the way, the way to play defense. And also we played smart offensively." 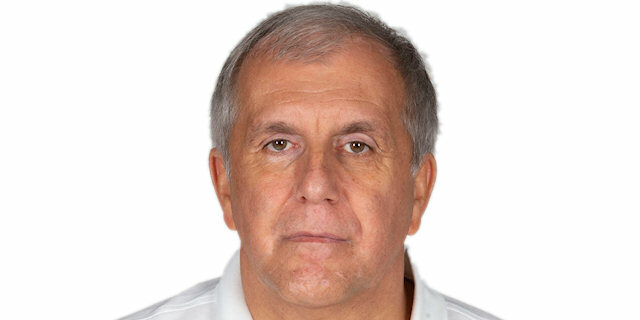 "We had difficulty in the first half, especially, to take advantage against their aggressive defense on ball screens. Aggressive but legal. We didn't find the spaces and this is the reason we were 8 points down at the end of the first half. I'm happier with our job and our play during the second half, and finally they found a great advantage in the closing minutes. But we did a great job on defense and offense and had many options – five down, four down – to be close in the game. 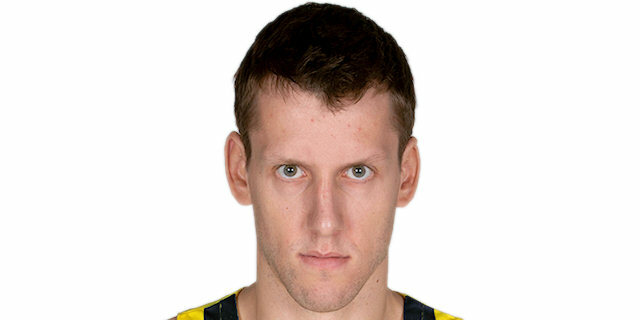 But we didn't have a lucky team tonight in those moments and finally Fenerbahce was the winner, with justice." "The coaches prepared us well. It was a defensive game, and we tried to limit what they do. They're a great team if you let them play their game. We tried to speed them up a little bit. It was a great team effort. We played tough and we protected the home court." "I'm always hyped. We played great defense today. We had a lot of time to prepare this game, and we did a great job. Erick Green scored only four points, only on free throws, so that's a success. We played great team defense. We were aggressive on both ends, so it's a team win and an important one. 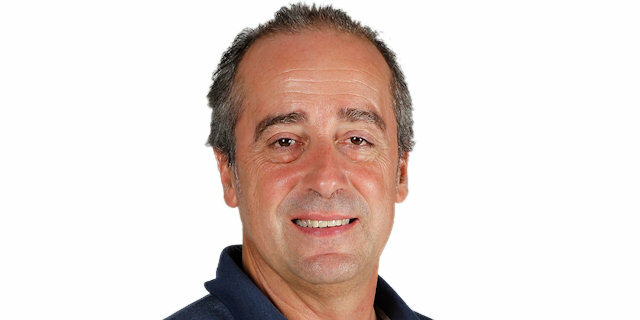 The fans helped us a lot here last year, and in Sinan Erdem for the Final Four, you know how they helped us. The fans are incredible, and I hope they will keep coming."